Educated as a mechanical engineer, Professor Quintiere received a B.S. degree from New Jersey Institute of Technology (1962), and a M.S. (1966) and Ph.D. (1970) from New York University. His career in fire safety began in 1971 when he joined the National Bureau of Standards, now known as the National Institute of Science and Technology. He left in 1989, as Chief of the Fire Science and Engineering Division, to join the faculty of the Department of Fire Protection Engineering. 1. Principles of Fire Behavior, Delmar Publishers, 0-8273-7732-0, August 1997. 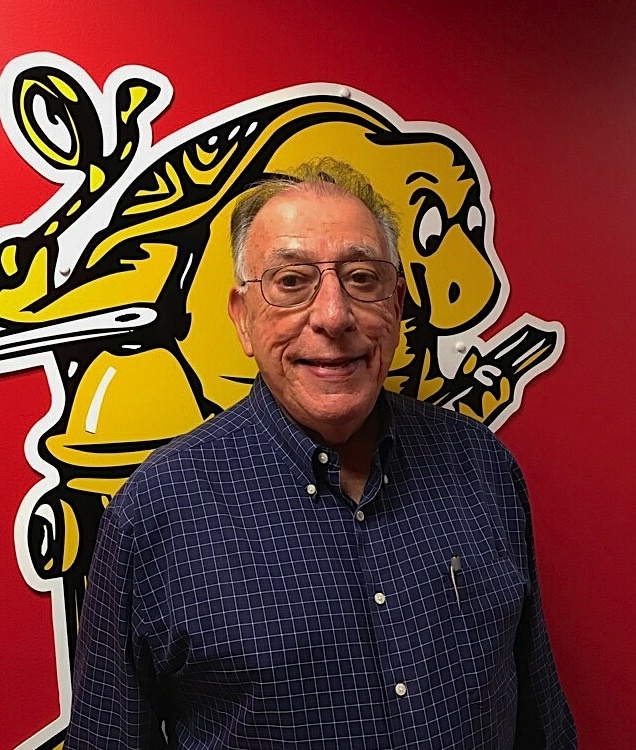 Dr. Quintiere served as the Chairman of the K-11 Committee on Fire and Combustion of the Heat Transfer Division of ASME (1986-1989), the Chair of the Working Group on Fire Exposures to Structural Elements, SFPE (2000-2005), and Chairman of the International Association for Fire Safety Science (IAFSS) from 1991 to 1997. He received the Department of Commerce Bronze Medal (1976) and Silver Medal (1982); Howard W. Emmons Lecture Award in 1986, the W. Sjolin FORUM Award (2002), and the K. Kawagoe Award (2011) from the IAFSS; and the Rasbash Lecture Medal from the Institution of Fire Engineers, UK, June 2008. He is a Fellow of the Society of Fire Protection Engineering and the American Society of Mechanical Engineers. He has been a Visiting Professor at the Technical University of Denmark, University of Science and Technology of China, Tokyo University of Science, University of Ulster, and the University of California – Berkeley. He also has served on many editorial boards of journals related to fire. He has taught professional courses related to fire dynamics and fire investigation, and has been engaged in consulting and research activities involving notable fires such as the Branch Davidian fire near Waco TX, Dupont Plaza fire in Puerto Rico, the Meridian Plaza and First Interstate Bank high rise fires, and the 911 incident of the WTC. Little is known about the fire hazards of solid and liquid fuels in microgravity. The goal of this research is to establish the burning conditions possible in microgravity for various materials. The application is spacecraft fire safety. 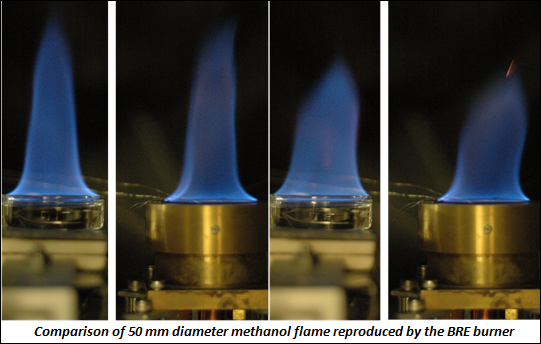 The approach is to use a gas fueled burner to emulate the ignition, burning, and extinction of condensed fuels. This burner is called the Burning Rate Emulator (BRE). The BRE will use mixtures of gaseous fuels and inerts to simulate the fire behavior of a wide spectrum of condensed fuels. The key properties governing burning of condensed fuels are (1) the heat of gasification, (2) the surface radiation heat flux, and (3) the heat of combustion. The construction of a BRE burner with embedded flame heat flux sensors enables us to emulate a pool fire of the same diameter, reproducing its color, flame character and shape, and heat of gasification for nearly the same surface temperature. A 3-D plot of steady burning will give a flammability map in terms of these properties in both normal gravity and microgravity. In addition, effects of external radiation can be assessed. Specific objectives for this project are to observe the burning behavior (including ignition and extinction) in long-duration microgravity for methane and ethylene/nitrogen mixtures on porous circular burners of 25, 50 and 75 mm diameter at various pressures and ambient O2 and CO2 concentrations. The results will be related to microgravity behavior of condensed fuels that embrace the scope of real liquid and solid fuels. Quintiere proposes insulation and fuel load should be re-examined in the collapse of the World Trade Center.